Numerous Orchid Books have been reviewed in this Orchid Book Review page. These Orchid Book reviews have been written with a perspective of recommending the best orchid books for YOUR orchid growing and identification needs! 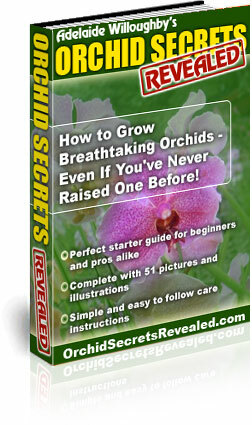 All of the Orchid guide books listed here have been read from cover to cover. Detailed comments on orchid photos, orchid diagrams and each author’s orchid care advice is provided in each book review to help you choose a book that is appropriate for you. If you found this Orchid Book Reviews page useful, please click the "Like" button below, and leave us a comment in the box. Thank you! At over 220 pages the Orchid Growers Companion by David Banks has a great range of information for orchid lovers. 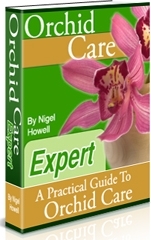 50% of the pages are dedicated to orchid care advice, the other half is a directory of orchid species. At over 120 pages, this directory alone is more than the entire set of pages from many other orchid book authors. This allows more species to be described, with for example the section on Dendrobium running to 17 pages! The pages measure approx 8.5” x 11”, that’s 21.5cm x 28 cm and literally all of them are color. The Care sections of the book tend to include an average of at least 2 to 3 photos per page, and this increases to an average of 3 to 4 photos per page in the directory section. The chapters seem to be sensibly laid out. The photographs, which are often full page, are vivid and detailed, and the tables and symbols are clear and easy to follow. The directory pages have symbols next to each species description indicating preferred light and temperature. The book starts with 30 pages on the nature of orchids, and covers orchid plant structure, pollination, names, history of cultivation, geography locations of species, conservatory growing, and exhibiting orchids (along with competitions award schemes). The next section covers 34 pages of orchid cultivation and care, discussing where to grow (indoor or outside, in pots, on mounts or in baskets), watering, fertilizing, repotting, pests and diseases, and a full 10 pages dedicated to propagation. The pests and diseases section has a fantastic series of photographs indicating the different leaf damage caused by different bugs and viruses. The directory approaches the species in alphabetical order, dedicating approximately 200 words to describe the main features of the species. This is then followed by approximately 40 words per sub species. The significant number of pages in the Orchid Growers Companion means it has a great balance of practical care advice, together with enough content to help you identify your orchid collection. This would be a great book for enthusiasts who have begun to get the orchid lovers bug, and want to gain a comprehensive appreciation of how many orchids are out there, and indeed how to care for them. RATING: 8/10. This book, A Beginners Guide to Orchids by Geoffrey Hands, would indeed be helpful for an absolute orchid beginner. At 128 pages in length, the majority (119 pages) are dedicated to orchid care advice, with a mere 4 pages at the end for an orchid directory. The initial 21 pages cover common orchid types. The next 30 pages have an interesting approach to helping you discover orchids; the reader is shown the various seasonal patterns of growth exhibited by orchids, helping you answer the question of “what’s going on with my orchid?? ?” throughout its annual cycle….no more being alarmed if there is no bloom for part of the year! The final 50 pages cover where to grow (discussing humidity and light), watering and feeding, and a basic guide to repotting. The book rounds off by introducing you to such techniques as hydroponic growing, propagation, as well as a few pages on pests and diseases. The pages measure 9” x 11” (23cm x 28cm), and generally contain at least 2 photos per page. Most graphics are in fact photographs, meaning the remaining page is covered in words (and few, if any, symbols, tables or diagrams). The title of the book is not claiming anything else other than “a beginners guide to orchids” – this title tends to be accurate and therefore is suited to those less experienced orchid lovers. RATING: 7/10. Ortho's All About Orchids has a total of 92 pages. Each page measures 8 inches by 11 inches. The book uses a combination of text, thumbnail images, tables, and illustrations for most pages. All About Orchids focuses on practical growing and orchid care advice. The first 12 pages cover an introduction to the environment that an orchid needs, discussing light, temperature, humidity and air circulation, plus advice for growing orchids outdoors. There are some useful tables of information in this book and the introduction on light has a useful diagram on the amount of light that each orchid alliance is most comfortable with. This section even shows you how to measure and monitor your light for your orchid. The introduction to temperature is similarly useful, again with a great table showing the ideal night-time temperature ranges for each of the orchid alliances. This is then followed by 24 pages on buying, growing, and routine care of your orchids. This chapter starts off with dividing the orchid alliances into beginner, intermediate and advanced orchid types, and explains monopodial, sympodial, epiphytes, terrestrial, lithophytes. The two pages on potting mediums in this chapter provides a good visual introduction to the different potting medium types. Each topic in this book is generally covered with two pages per topic, and the sections on watering, fertilising, dividing and repotting, and propagation are all covered nicely with a combination of thumb nail images and descriptive text. There are four pages on orchid diseases and common problems and another six on orchid botany breeding and orchid identification (these pages are a good resource to gain further knowledge on orchid types, breeding, and learning the correct names of the orchid flower parts). This section leads nicely to the final chapter, the orchid gallery, which is 36 pages long. The orchids in this gallery are organized alphabetically by genus. The common features of the gallery pages discuss characteristics of both the species and hybrids for each genus, along with tips for success, and 4 to 5 thumbnail photos. This is a good all-round book, primarily focussing on orchid care. Even the orchid gallery is written with a view to providing practical orchid advice. Having reviewed many orchid books I can’t avoid saying that if this book had double the amount of pages that it currently has, it would be one of the most in-depth practical orchid books out there. That said, the 92 pages of this book will provide a beginner a great set of practical tips and tricks to look after many orchids in their collection, and would also be a good "top up" tip resource for an intermediate orchid enthusiast. Indeed, Ortho's All About Orchids might be a worthy book for any orchid lovers collection. RATING: 8/10. Orchids for Dummies by Steven Frowine is a useful starter book containing basic and practical information, especially for the first time orchid buyer. For those already familiar with the "Dummies" guides, this book maintains their regular and distinct style of publishing. It is user friendly, full of easy to understand tips, all written in a simple way to help you realise that some orchids are not as difficult to care for as people believe. There is no fear of the unknown as Orchids for Dummies takes you from choosing your first plant, onto orchid care, maintenance, and hopefully enjoyment! This is an excellent reference book where even the more experienced orchid growers can find some useful tips. RATING: 7/10. 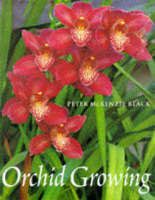 The second edition of the Complete Book of Orchid Growing by Peter McKenzie Black prefers words and diagrams and is lighter than many other orchid books on photos. However, this does not mean its content is lacking. Indeed, the approximate 7.5” x 10” (19cm x 25cm) pages are richly covered in words, diagrams and tables. 152 pages in total, the first 46 pages cover an introduction to the characteristics and habitat of orchids, followed by culture and care advice covering pollination, composts, pots, watering, feeding, lighting, temperature, hybridization, and pests and diseases. The remaining approximate 90 pages describe the particular characteristics of a selection of 43 orchid species, along with associated sub species. Not listed in alphabetical order, it’s necessary to rely on the index to find the specific care advice for your orchid. Each of the 43 species is discussed with its Etymology, description, cultivation and characteristics being covered. The book rounds off with 4 appendices dedicated to Hybrid lists and taxonomy. For those readers who want more than what many other orchid books offer (if one prefers more written words, diagrams, sketches, tables and lists), the Complete Book of Orchid Growing is certainly worth a further look. RATING: 7/10. The title of this book, Growing Orchids in Your Garden (by G.M Friend), sums up its content very nicely indeed! Its approach is different to many orchid guide books out there, because the author has written the book with the clear intention of thoroughly considering WHERE you will be caring for the orchids you grow. As the author states himself on the inside front cover of the book – “wherever you live, you can grow orchids”. After you have read this book, you will have gained a great appreciation of your options for growing orchids in the context of where YOU live. The book is 218 pages, each measuring 7” wide by 9” high. 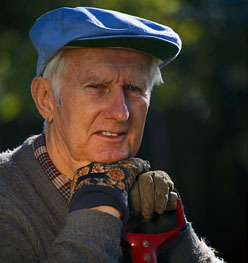 Most pages contain 1 to 2 color photos with the remaining half of each page containing text. After the first 24 introductory pages discuss how to use the book, where orchids grow, orchid growth types (2 excellent hand sketches show everything you need to know), orchid climates, and choosing the right orchid, the next 80 pages cover types of orchid that fall into 1 of 3 categories (Orchids that grow on trees, Orchids that grow on rocks and walls, and Orchids that grow in the ground). Each of these 3 categories has a similar sequence of pages; the author covers how to grow the orchids, companion plants, aftercare (of the tree/wall etc), and a specific and thorough selection of orchids suited to each category. Following these pages, a section covers outdoor orchid pests, including birds, lizards, frogs, and small mammals. A 4 page section on the strengths and weaknesses or orchid species versus orchid hybrids is followed by 25 very useful pages that discuss the TYPES/SIZES of orchid gardens (for example, a large garden, a sub-urban garden, courtyard and balcony gardens). This is then followed up with 15 pages on containers to use for growing orchids outdoors, covering aspects in sufficient depth to even cover pots suitable to avoid wind damage!. The book draws to a close with 6 pages on growing your orchids indoors (it even includes a section on growing orchids indoors on trees). The conclusion then leads you to the excellent 25 page long table of recommendations for growing orchids in your garden. This table is very powerful, and has column headings of orchid plant name, the garden type and climate it is most suited to, and other specific growing advice/ comments. If you are considering growing your orchids outdoors, you’ll be using this table as a reference source time and time again. The book rounds off with the usual pages of glossary, bibliography, subject and plant indexes. If you had previously thought that it was not possible to grow orchids in your garden where you live, then a read of this book is recommended. Growing Orchids in Your Garden by G.M Friend will leave you with a greater understanding of orchid types, and where it is best to grow them in YOUR garden or home. Many orchid books out there seem to be a “read once only” category, but with this book, you are likely to be supported time and time again by its thorough and broad coverage. It certainly is a book worth seeking out. RATING: 8.5/10. Ultimate Orchid by Thomas.J. Sheehan is a very visual 160 page book. Its larger 9” wide by 11” high pages provide plenty of space for numerous color photos per page. Indeed, almost every second page of this book has a full color photo of an individual orchid, and its opposite page has at least 3 to 5 orchid photos with annotations of at least 20 words per photo. The book would be a very useful resource for you to determine the precise species of all of the orchids you own. The first 15 pages cover orchid history, what is an orchid, and orchid classifications The majority of the remaining pages of the book are divided into 2 sections. Section 1, with its 120 pages, covers all of the major orchid alliances (paphiopedilum, cymbidium, oncidium, cattleya, pleurothallids, dendrobium, vanda, and phalaenopsis) and botanical orchids. Each alliance has a page introduction followed by a series of pages covering each alliance species and hybrids. Section 2 continues to use the large page size to good effect and covers topics on orchid conservation, media and potting, propagation and care, where to grow orchids, pests and diseases, orchid shows, awards, and collectibles. However, with section 2 only being 15 pages in total, the book struggles to cover any of these latter topics in great depth. With almost 75% of Ultimate Orchid being dedicated to orchid alliances, this large paged color book lends itself more of a reference book, allowing you to identify the species or hybrid type of the orchids you are currently growing. RATING: 7/10. At 256 pages, with each big page measuring 9” wide by 12” high, there is a lot of paper inside Growing Orchids by Brian and Wilma Rittershausen! The good news is that it has been put to good use, covering in equal depth both orchid growing advice and orchid types. There are 2 to 3 visuals per page (usually photos, but sometimes tables of information), but the large page size means there is still sufficient room for in depth supporting text (maybe 100 to 300 words per page). The first 45 pages cover orchids in the wild, history of orchids, and include a strong 11 page section on the botany of orchids which shows photos of various parts of an orchid in sufficient size and detail. The next 30 pages cover where to grow your orchids (indoors, outdoors, under glass) and provides advice on temperatures, methods, heating, ventilation, shading etc. 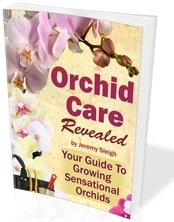 This is then followed by almost 60 pages on orchid care and cultivation; many pages include labeled step by step photo guides including advice on tools, potting mediums, propagation, routine orchid care, and pests and diseases. Yet, there is still more to come, with the following 100 pages providing an orchid directory. The directory groups the orchids by “popular” and “specials/temperate terrestrial orchids”, and each group is sub-categorized by orchid alliance type, with each orchid alliance covered by an introduction page followed by numerous pages each showing specific orchids photos with approx 20 words per photo. The book concludes with a glossary, index and list of suppliers. With its 250 large pages, Growing Orchids by Brian and Wilma Rittershausen is a comprehensive and informative book containing both orchid care advice and a suitable orchid alliance directory. Many other book are strong in EITHER care advice OR orchid directories, but this book has enough content to be strong in both aspects. This book is well worth a further look. RATING:9.5/10. The title of this book, Understanding Orchids by William Cullina, says it all. The author certainly does understand his orchids! The book is written in the first person tense, with William Cullina describing his own orchid experiences such as “I went on to manage a conservatory collection of orchids”. This method of writing tends to really make you feel the author is offering real experience and advice that has brought him successful orchids time and time again. The book (whose pages measure approx 8.5” x 11” or 21.5cm x 28 cm) is a whopping 260 pages, with the latter 50% dedicated to an orchid directory. The first 99 pages (with generally at least 1 color photo per page) cover in detail what you need to know about setting up a suitable environment for your orchid. It's hard in fact to find a weak area of this book – the strong sections include those 10 pages covering the vast range and features of orchid potting mediums, and another 6 on fertilizer. This section ends with a handy 3 page trouble shooting guide. Next, 12 pages are dedicated to orchid reproduction, which is then followed by an excellent 12 pages on hybridization and species. Often guide books can make species information seem like you are learning a new language, but the William Cullina presents this section in an easy to understand format. The approximate 98 page orchid directory section has more specific care advice than many other orchid books; the approximate 2 pictures per page help you identify your orchid, allowing you to subsequently read specific advice on skill level, temperature, light, humidity, water, fertilization, potting and media. The book is rounded off by Appendices which list such aspects as taxonomy, orchid organizations, orchid competitions, and a glossary. Understanding Orchids By William Cullina is a great book, for both a beginner and an experienced enthusiast. Indeed, with so much advice and experience in this book, if you do buy a copy, it’s likely to stay in your book collection for a long long time. RATING: 10/10. ** Remember to click on the cover image of the book which seems to fit most closely with what you need, and you will be taken to amazon.com to allow you to read futher information about that book. We hope you find one that helps you. Read more advice on How to Care For Your Orchids - in particular our Phalaenopsis Moth Orchids Care Guide and our Cymbidium Orchids Care Guide. Copyright 2011 CareForYourOrchids.com. All Rights Reserved.